Coming home to -30 C (-22 F) degree weather after a week of 30 C (86 F) sunshine sucked. 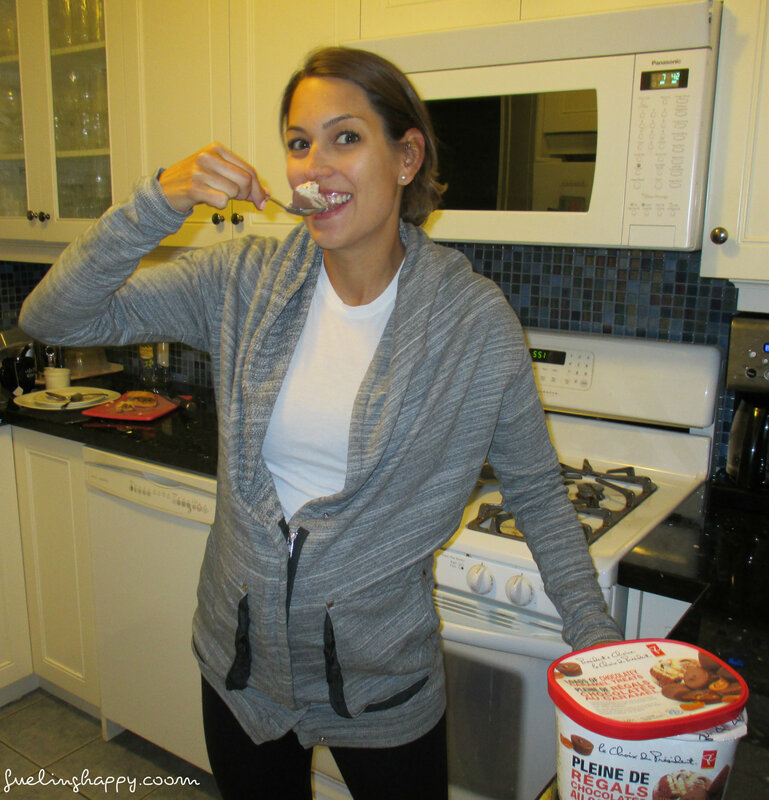 It took us awhile to get back into the swing of things, it was just too cold to go grocery shopping. Saturday morning Jeff went out and did the shop. I don’t know what I would do with out him. Feels good to be back cooking our own meals. Seemed like a good day to jump back on the WIAW wagon. Thanks Jenn for the link up. Sunday Morning I woke up early (8:30 am is early for a Sunday) and made myself a Red Raspberry Leaf Tea with honey. 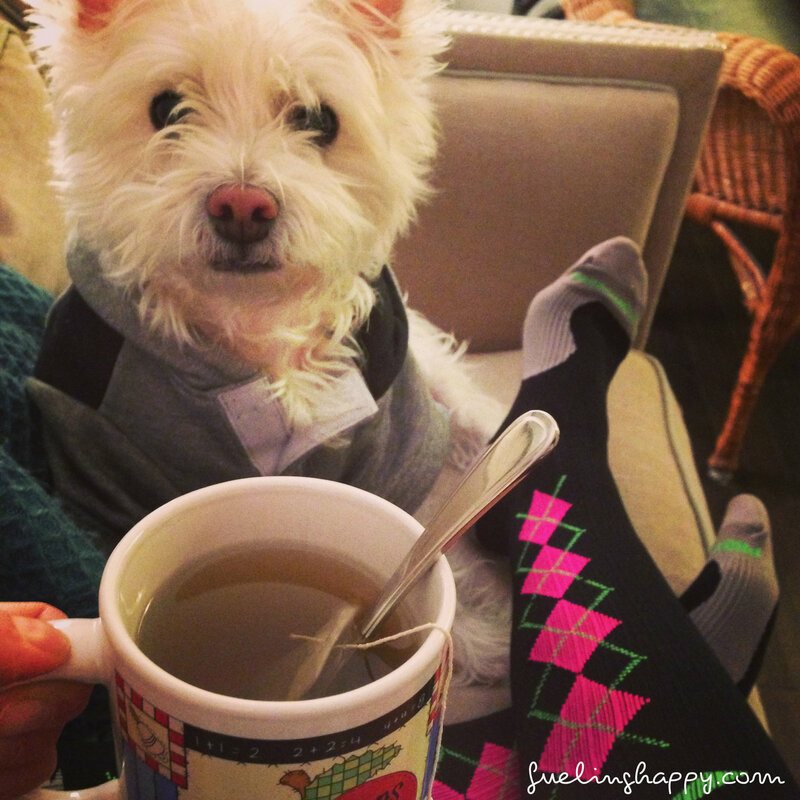 I like to refer to this as my uterus tea. 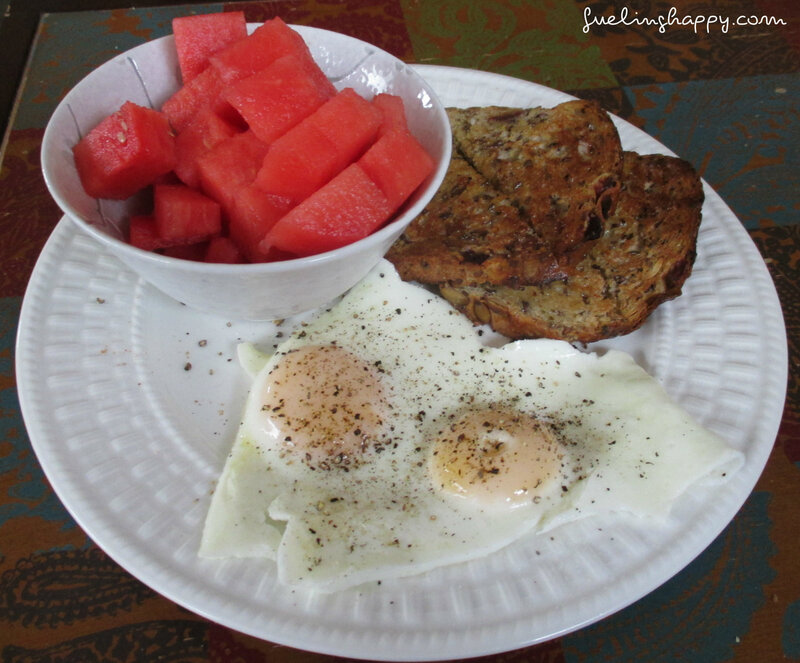 Brunch – 2 Eggs, Toast, and Watermelon. I ate Watermelon everyday in Mexico. I was so happy to find that Jeff had picked one up. 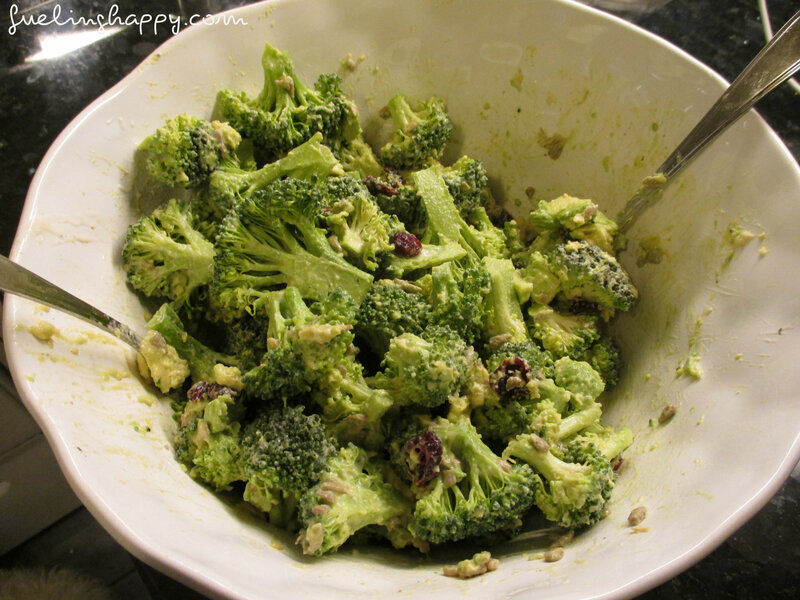 Lunch – We had a late lunch – Broccoli Salad. It’s sooooo simple. 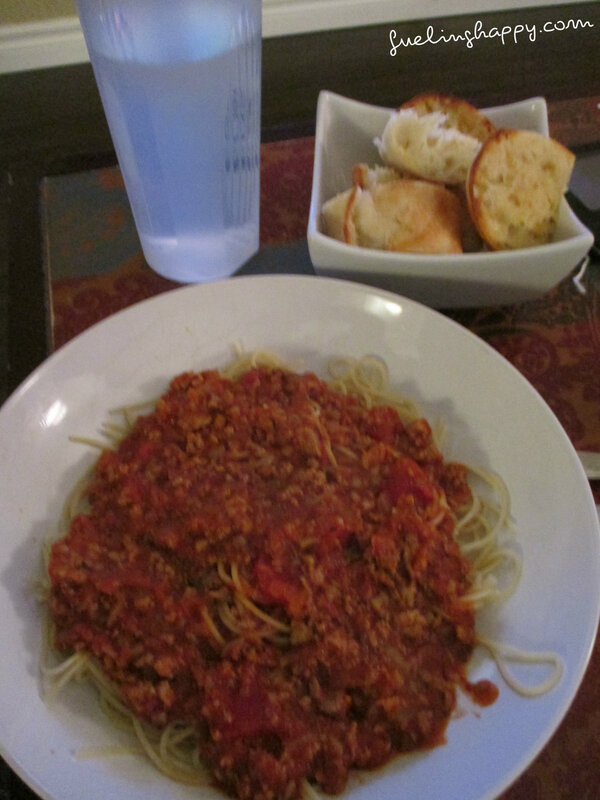 Dinner – Spaghetti with Turkey Meat Sauce. I made lots and ended up freezing enough for 3 more meals. How to – Chop onions and mushrooms as finely as possible. 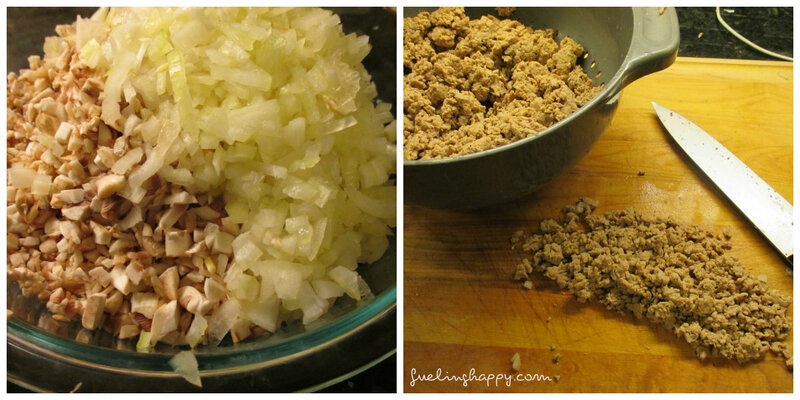 Cook ground turkey (in a frying pan), rinse and chop (as finely as possible). Fry up onions and mushroom mix and the turkey. Add sauce – I added Classico Four Cheese and it smelt like Chef-Boy-R-Dee. I would not recommend this one. Luckily I had a Tomato Basil on hand so I threw that in as well. Add some salt, pepper, garlic, oregano, basil. I didn’t leave the house all day… 🙂 Happy Wednesday! I love Watermelon. Must try watermelon salad this summer! All of your meals look delicious! Your breakfast looks like you went to a restaurant and the watermelon is making my mouth water. Garlic bread with spaghetti is a must!